Sheriff says Millcreek woman’s beating death is a ‘horrific’ domestic-violence case. Now her husband could face the death penalty. (Rick Egan | The Salt Lake Tribune) Family members hug Valerie Brantzeg's mother, Juanita Dikes, at the Salt Lake County Sheriff's office, Friday, Sept. 7, 2018. Sim Gill, the Salt Lake County District Attorney, announced formal charges against Valerie Brantzeg's estranged husband, Walter Brantzeg, in her beating death. Walter Eugene Brantzeg, 54, has been charged with one count of aggravated murder (domestic violence), one count of attempted aggravated murder, one count of aggravated burglary (domestic violence), and one count of cruelty to an animal, Salt Lake County District Attorney Sim Gill announced Friday. The charges come after the death of Brantzeg’s wife of 14 years, Valerie Sue Brantzeg, on Aug. 22 in her west Millcreek apartment. Her 13-year-old daughter, whose name has not been released, was severely injured in the same incident. (Rick Egan | The Salt Lake Tribune) Jeanne Long, sister of homicide victim Valerie Sue Brantzeg, is flanked by family members as she speaks at a news conference about her sister, at the Salt Lake County Sheriff's Office, Friday, Sept. 7, 2018. Formal charges have been filed against Walter Eugene Brantzeg, Valerie's estranged husband, in her death. (Rick Egan | The Salt Lake Tribune) Salt Lake County Sheriff Rosie Rivera speaks at a news conference about the death of homicide victim Valerie Sue Brantzeg, at the Salt Lake County Sheriff's office, Friday, Sept. 7, 2018. Formal charges have been filed against Walter Eugene Brantzeg, Valerie's estranged husband, in her death. (Rick Egan | The Salt Lake Tribune) Salt Lake County District Attorney Sim Gill hugs Jeanne Long, the sister of homicide victim Valerie Sue Brantzeg, at the Salt Lake County Sheriff's office, Friday, Sept. 7, 2018. Formal charges have been filed against Walter Eugene Brantzeg, Valerie's estranged husband, in her death on Aug. 22 in Millcreek. (Photo courtesy of Valerie Brantzeg's family) Valerie Sue Brantzeg, killed on Aug. 22 in Millcreek, loved animals and used to foster kittens, family members said at a press conference Friday, Sept. 7. Charges against Brantzeg's estranged husband, Walter Brantzeg, were formally announced. (Rick Egan | The Salt Lake Tribune) Jeanne Long, sister of homicide victim Valerie Sue Brantzeg, is flanked by family members as she speaks at a news conference about her sister, at the Salt Lake County Sheriff's Office, Friday, Sept. 7, 2018. Formal charges have been filed against Walter Eugene Brantzeg, Valerie's estranged husband, in her death. (Rick Egan | The Salt Lake Tribune) (Rick Egan | The Salt Lake Tribune) Salt Lake County District Attorney Sim Gill, center, speaks about charges filed against Walter Eugene Brantzeg in the beating death of his estranged wife, Valerie Sue Brantzeg, at the Salt Lake County Sheriff's Office, Friday, Sept. 7, 2018. Gill is flanked by Jeanne Long, left, Valerie's sister, and Salt Lake County Sheriff Rosie Rivera. (Rick Egan | The Salt Lake Tribune) John Grant, left, hugs his grandmother, Juanita Dikes, at a press conference about the beating death of Valerie's daughter, Valerie Sue Brantzeg, at the Salt Lake County Sheriff's office, Friday, Sept. 7, 2018. Formal charges have been filed against Walter Eugene Brantzeg, Valerie's estranged husband, in her death. (Rick Egan | The Salt Lake Tribune) Salt Lake County Sheriff Rosie Rivera, center, talks about the beating death of Valerie Sue Brantzeg, accompanied by Brantzeg's relatives and Salt Lake County District Attorney Sim Gill, at the Salt Lake County Sheriff's Office, Friday, Sept. 7, 2018. Formal charges have been filed against Walter Eugene Brantzeg, Valerie's estranged husband, in her death. (Rick Egan | The Salt Lake Tribune) Salt Lake County Sheriff Rosie Rivera, center, talks about the beating death of Valerie Sue Brantzeg (shown in the picture frame), accompanied by Brantzeg's relatives, at the Salt Lake County Sheriff's Office, Friday, Sept. 7, 2018. Formal charges have been filed against Walter Eugene Brantzeg, Valerie's estranged husband, in her death. (Rick Egan | The Salt Lake Tribune) Salt Lake County District Attorney Sim Gill, speaks at a news conference about the beating death of Valerie Sue Brantzeg, surrounded by her family, at the Salt Lake County Sheriff's office, Friday, Sept. 7, 2018. (Rick Egan | The Salt Lake Tribune) Jeanne Long, sister of homicide victim Valerie Sue Brantzeg, is accompanied by family members at a press conference at the Salt Lake County Sheriff's office, Friday, Sept. 7, 2018. Formal charges have been filed against Walter Eugene Brantzeg, Valerie's estranged husband, in her death. (Rick Egan | The Salt Lake Tribune) Jeanne Long, sister of homicide victim Valerie Sue Brantzeg, is accompanied by family members at a press conference at the Salt Lake County Sheriff's office, Friday, Sept. 7, 2018. Formal charges have been filed against Walter Eugene Brantzeg, Valerie's estranged husband, in her death. (Rick Egan | The Salt Lake Tribune) Family members hug Valerie Brantzeg's mother, Juanita Dikes, at the Salt Lake County Sheriff's office, Friday, Sept. 7, 2018. Sim Gill, the Salt Lake County District Attorney, announced formal charges against Valerie Brantzeg's estranged husband, Walter Brantzeg, in her beating death. (Rick Egan | The Salt Lake Tribune) Jeanne Long, sister of homicide victim Valerie Sue Brantzeg, is accompanied by family members at a press conference at the Salt Lake County Sheriff's office, Friday, Sept. 7, 2018. Formal charges have been filed against Walter Eugene Brantzeg, Valerie's estranged husband, in her death. Gill said it’s too early to say whether his office will seek the death penalty against Walter Brantzeg. That decision will come after a preliminary hearing, a date for which has not been set. (Photo courtesy of Valerie Brantzeg's family) Valerie Sue Brantzeg, killed on Aug. 22 in Millcreek, loved animals and used to foster kittens, family members said at a press conference Friday, Sept. 7. Charges against Brantzeg's estranged husband, Walter Brantzeg, were formally announced. Family members are not releasing details on the extent of the 13-year-old’s injuries. “She’s bouncing back. It’s going to take her a long time,” Long said. Valerie Brantzeg’s two daughters — an older sister was living away from her mother when the homicide happened — “are going to be survivors,” Long said. “They’re not victims. They will be survivors.” Long said a bank account in Valerie’s name is being set up at Mountain America Credit Union. Gill said Valerie Brantzeg had filed a temporary separation petition against her husband in Salt Lake County Third District Court on July 31. On Aug. 16, Gill said, she texted Walter Brantzeg to inform him she was seeking sole custody of their 13-year-old daughter. According to the probable cause statement issued by Gill’s office, the daughter told police detectives that her father had sexually assaulted her and threatened to kill her if she told anyone. According to the statement, a Unified Police Department officer responded at 7:05 a.m. on Aug. 22 to Valerie Brantzeg’s apartment at 3942 S. River Hollow Road (about 700 West) in Millcreek. The officer found Valerie in the doorway, “covered in blood and with severe head trauma.” A state medical examiner noted at least 28 separate blunt force injuries to her head. She died at the scene. The officer then found Valerie’s daughter. Her skull had been fractured, a radiology examination later found, along with hemorrhages consistent with being beaten. At the entrance, the statement says, the officer found duct tape covering the door’s peephole on the outside, signs that the door had been forced open, a smell of pepper spray, and a crowbar covered in blood. The statement said that when officers later interviewed the daughter, she said Walter Brantzeg pushed his way into the apartment, sprayed the entrance with pepper spray, and began hitting Valerie Brantzeg. The daughter said he hit both her and her mother, telling the teen “if you want to be with your mom so bad, be with her." About two hours later, Walter Brantzeg was arrested in his car in a parking lot in Murray, about two miles east of Valerie’s apartment. Police tracked him by pinging his cellphone while he was calling Salt Lake City TV stations. He was arrested while talking to a news manager at FOX 13. 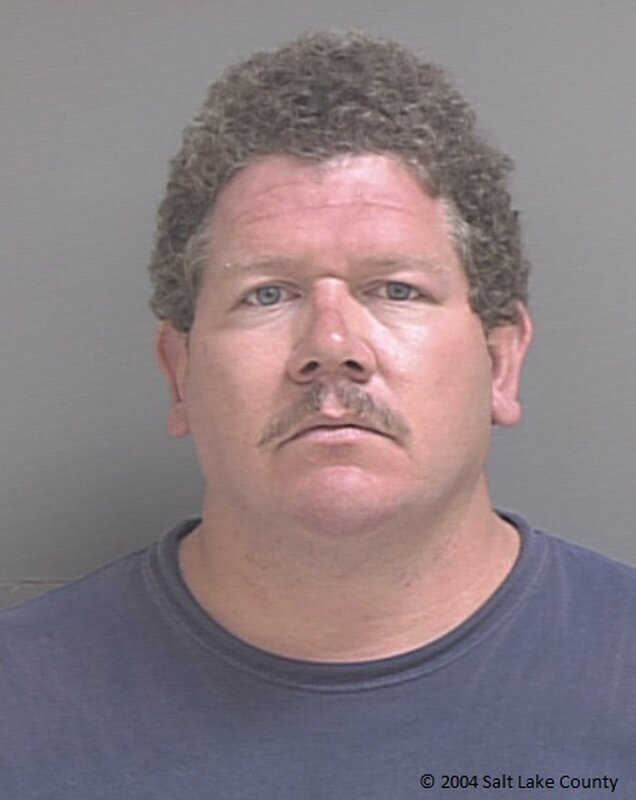 (Photo courtesy Salt Lake County Sheriff's Office) A booking photo taken Aug. 22 of Walter Eugene Brantzeg, who has been charged with aggravated murder, attempted aggravated murder, aggravated burglary and cruelty to an animal. He is accused of killing his estranged wife, Valerie Sue Brantzeg, and injuring their 13-year-old daughter, in Millcreek on Aug. 22. At Walter Brantzeg’s residence, police detectives found a dead cat. In the probable cause statement, Gill’s office said Brantzeg told officers after his arrest that “he killed his cat because nobody would be around to feed it.” Gill would not comment on whether the cat’s death is a sign of premeditation before Valerie Brantzeg’s killing. Rivera stressed the horrors of domestic violence and urged anyone living with an abusive partner to get help. Long, Valerie Brantzeg’s sister, echoed that sentiment. “It’s not worth your life. It’s not worth your children’s lives. It’s not worth the horror that we as a family are going through right now,” she said.